Heat Class of 2015 Players Make Mark at Spring Showcase! Great job to several Rockford Heat Class of 2015 players for getting a write up at the 3rd annual Midwest Recruiting Report Spring Showcase held last weekend in Schaumberg. The Juniors that received write ups was Brandi Fier, Jayla Penney, Kayla Steward, Shamara Glover, Haley Kershner, Jackie Lindquist, Shelby Kline, Cynthia Santiago, and Natasha Adames. Great Job ladies keep working hard! Rockford Heat 7th Graders Get Noticed at Showcase! Great job to several Rockford Heat 7th graders for getting a write up at the 3rd annual Midwest Recruiting Report Spring Showcase held last weekend in Schaumberg. The 7th Graders that received write ups was Olivia Lambrigtsen, Kelsey Steward, Hannah Donaldson, and Chloe Klein. Great Job ladies keep working hard! Heat 8th Graders Get Noticed at MWRR Spring Showcase! Great job to several Rockford Heat 8th graders for getting a write up at the 3rd annual Midwest Recruiting Report Spring Showcase held last weekend in Schaumberg. The 8th Graders that received write ups was Emily Horgan, Erin Stroberg, Mary Valentine, Kelsey Hughes, and Emma Hammer. 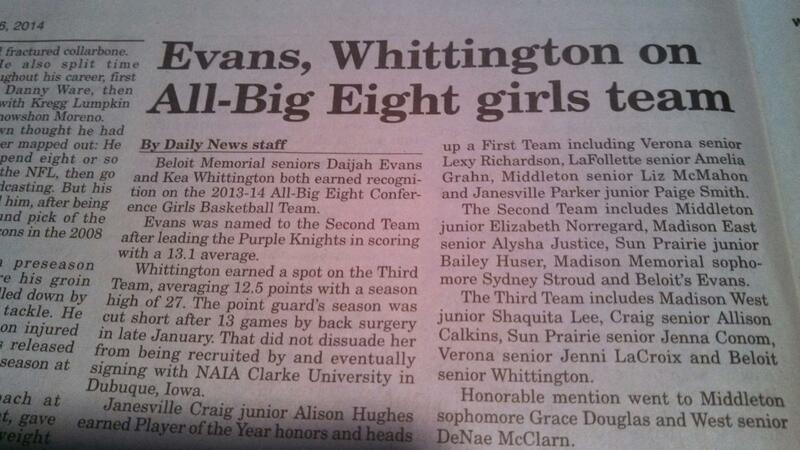 Congrats to Clark University commit, Kea Whittington for being selected to the All-Big Eight All-Conference Team in WI. Great job and keep up the good work! Congrats to Heat player Samantha Lambrigtsen for being names Sauk Valley News Athlete of the Year! Great Article about her hard work and determination. Keep up the great work! If, for any reason you are unable to accept your spot on a roster, please contact John Penney ASAP! Mandatory Parent/Player/Coach meeting is tomorrow night at 7pm, located at IBEW Banquet Hall, Located at 6820 Mill Rd, Rockford IL. You need to bring the “Athlete Forms” with you, they can be found on the website under the “Club Forms” tab. If you do not have the information for tomorrow‘s meeting, please email John Penney. 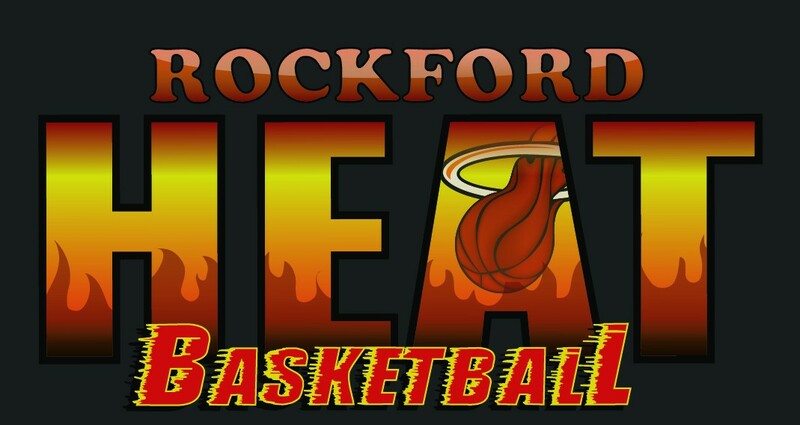 Rockford Heat 5th/6th Grade Roster-POSTED! If, for any reason you are unable to accept your spot on a roster, please contact John Penney ASAP! Mandatory Parent/Player/Coach meeting is tomorrow night at 7pm, located at IBEW Banquet Hall, Located at 6820 Mill Rd, Rockford IL. You need to bring the “Athlete Form” with you, they can be found on the website under the “Club Forms” tab. If you do not have the information for tomorrow‘s meeting, please email John Penney.